All in all, a pretty fun Sunday. Joy to the World was a rocked up version. All of the K-5 kids came up on stage and danced for the first two songs. They were hilarious to watch. Ed has posted a video on Facebook, but you may have to be Ed’s friend to see it… I’ll try to prod him into putting one out in the public domain. It’s a cool version. I like it. Repeat the Sounding Joy was another amped up song that the kids danced to. Rod had to do some heavy sampling on the keys to pull this one off, but it was solid. Wholly Yours is one of my favorite DCB songs. We always play the ending like it is on the radio version, and not the longer ending off the album. It was perhaps a little mellow to start the off the abbreviated worship set with. Let It Be was used for the offering. It was pretty solid. Rod’s Hammond came in handy. And Bruce nailed the guitar solo. This was my first time to actually play with Bruce. Very cool guy. I thought I’d share my Christmas Wishlist with you before I send it on to Santa. First and foremost, I’d like to replace my 1996 Lumina with a new car. Preferably a Mazdaspeed 3. And a customized license plate that says “MNDORON”. It would look good on a new car. A new custom-designed WordPress blog theme. I’m thinking about going away from the free WordPress.com thing to a self-hosted WordPress blog, but I don’t want to put the time and effort into it. Now if someone were to take care of it as a Christmas present for me… now that would be cool. 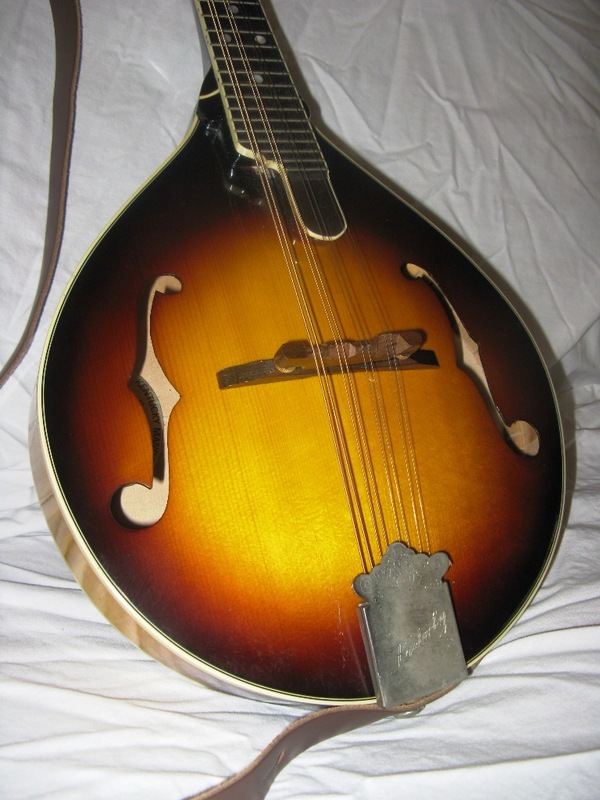 To expand my musical horizons… an oval hole mandolin, something relatively inepensive like this Eastman 604 would be fine as long as it has been Mandovodoo’d. 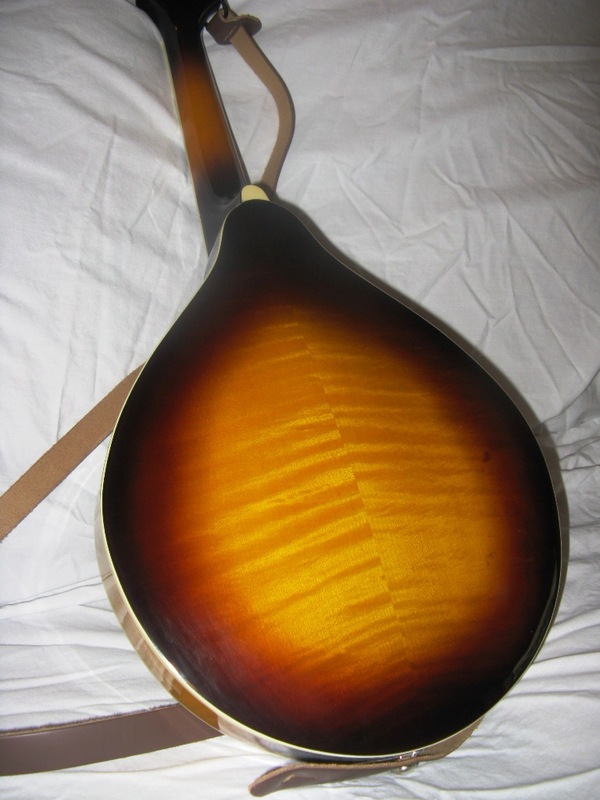 A five-string electric mandolin. I like the Mann SEM-5 Electric Mandolin with a cool custom finish. A new Acoustic-Electric guitar. Not sure what brand/model, as long as it’s nicer than my Ibanez, sounds good, and looks cool. I’m willing to trade the Ibanez in to defray some of the expense for Santa. You can’t go wrong with an itunes gift card. A firewire recording interface like the PreSonus Firebox to improve my home recording capability. Andrea and Jada are watching Dancing With the Stars because the Jonas Brothers are making an appearance. I wasn’t interested until they came on and one of them was playing electric mandolin, an 8-string Epiphone Mandobird. Wednesdays alway make me think of Eskimo Joe’s. Every Wednesday they have the Hump Day Special, and you can Little Joe burgers cheap. Two of those and some cheese fries and you’re good to go! The cool (and edgy) people over at Deadly Viper have a new thing going called Love Takes Balls. This is all part of their People of the Second Chance campaign. I’m honestly struggling with this a bit. I agree with the spirit of it. But my Southern Baptist upbringing is welling up. I can’t say that I’d be comfortable wearing a t-shirt with the logo on it. I’m working on a couple of cool things for the blog. In order to get some “real” content (which I’ve been struggling with as of late), I’ve invited a couple of people to write some guest posts. Should be some cool stuff coming in over the next month. I’m also pondering a recurring Musician Monday where I interview musicians. Stay posted. 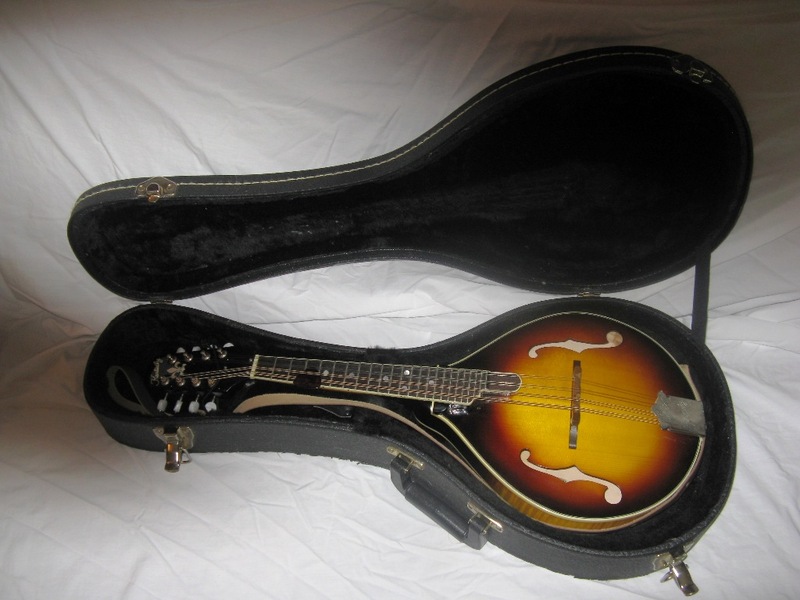 Mandolin for Sale – Sold! It’s time to part ways with the mandolin that put the “mando” in MandoRon. 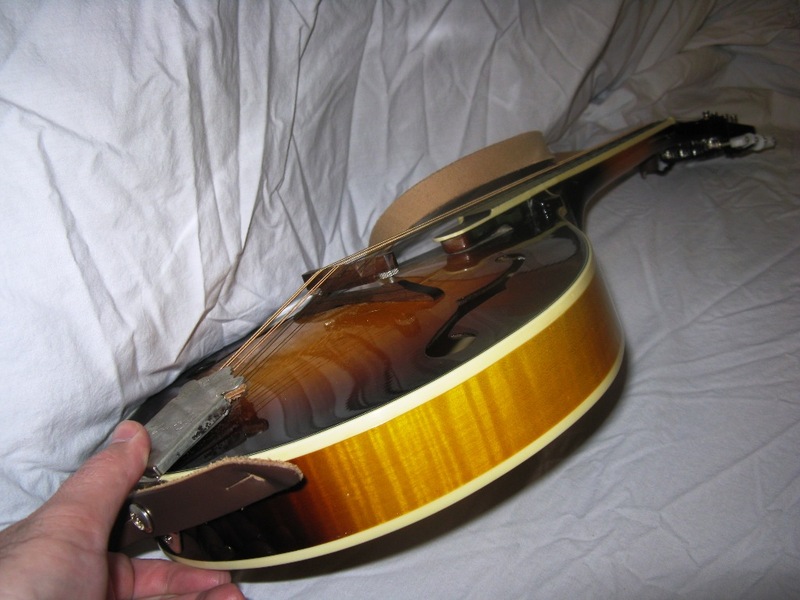 I’m selling my first mandolin, a Kentucky KM-380s. It’s going on the market because I don’t ever play it since I bought the Breedlove, and I need to fund an in-ear monitor purchase. 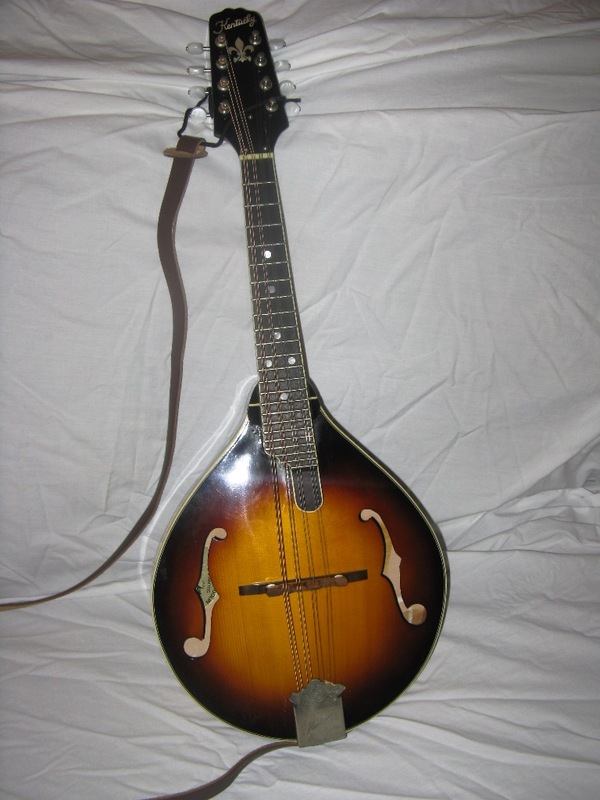 Kentucky KM-380s mandolin in good condition. I bought it new from E.M. Shorts in Wichita, KS in April of 2004. There’s no significant issues that I’m aware of. There is a small discoloration area on the binding where the body attaches to the neck. It was that way when I bought it. There are several small dings on the bottom side where I had a Fishman carpenter jack attached until recently. Other minor stuff like pick scratches and small dings here and there, but nothing significant. Some tarnishing on the tailpiece. I’ve got corrosive sweat. It could probably easily be shined up. Also the fingerboard extension was scooped by a woodworker friend of mine. He did a great job. It looks like it came that way. It comes with an A-style case. I paid $55 when I bought the mandolin. I think it’s a Canadian brand. It’s in okay shape aesthetically, but structurally good. 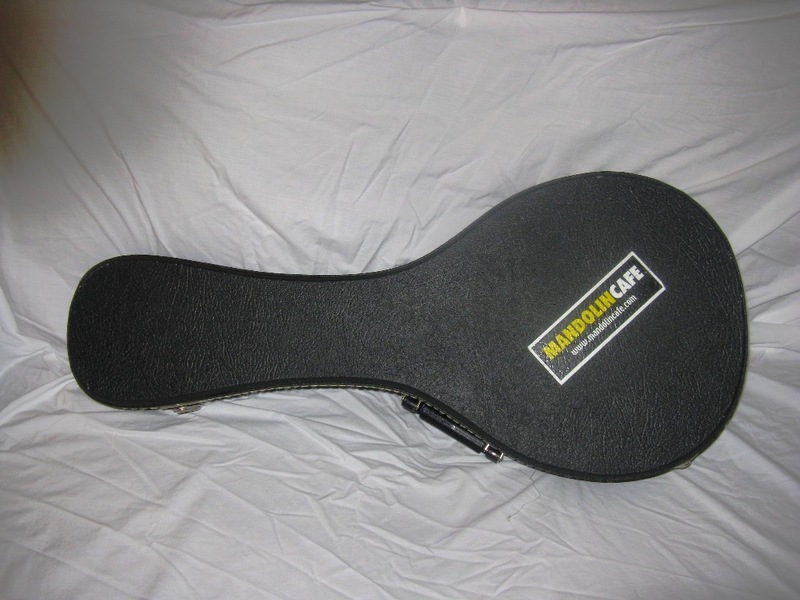 The mandolin is a loose fit in the case, so I use a cloth/towel to get a snug fit. Just what we’ve all been waiting for… the Stuff Christians Like t-shirt. Tell the world: “I Side Hug”. I’m definitely ordering one. My brother-in-law Scott posted this funny video on his blog. It’s British and has a bunch of political double-talk. What else could you want? Mud Puppy shares a rather humorous vintage Christian rock video from Sonseed. Jon has some funny, tongue-in-cheek ideas for a Christian version of Rock Band over at Stuff Christians Like. Interesting article about the mandolin player who played for Rod Stewart on the recordings of Maggie May and Mandolin Wind.